People who have neglected necessary dental work due to fear surrounding dental visits may feel like they are alone, but dental anxiety is a very common problem. Nearly half of Americans have neglected important dental care because they feel such intense stress when it comes time to schedule or show up for an appointment. To ensure that all his patients receive care that will benefit their oral health without causing undue anxiety, Dr. Steven M. Balloch offers IV sedation, or sleep dentistry. Sedation dentistry allows patients to undergo dental treatments in a state of semi-consciousness, which eliminates fear and stress, making even complex dental treatments completely comfortable for the patient. The benefits of IV sedation have allowed countless of our Hartford, CT, dental patients to restore the health and beauty of their smile while creating a positive relationship with the dentist. Any type of sedation dentistry can ease anxieties and make dental care more comfortable for the patient. However, IV sedation offers the deepest state of relaxation. IV sedation puts patients in a state of semi-consciousness, so they are essentially asleep throughout treatment. Patients do not wake until after treatment is complete and when they do become aware, they often have no memory of the dental procedure. This makes IV sedation a great option for patients with moderate to severe dental anxiety. Another benefit of IV sedation is that it takes effect quickly. Whereas oral sedation medication can take over an hour to take effect (and needs to be taken at home prior to treatment), IV sedation begins to work within seconds. 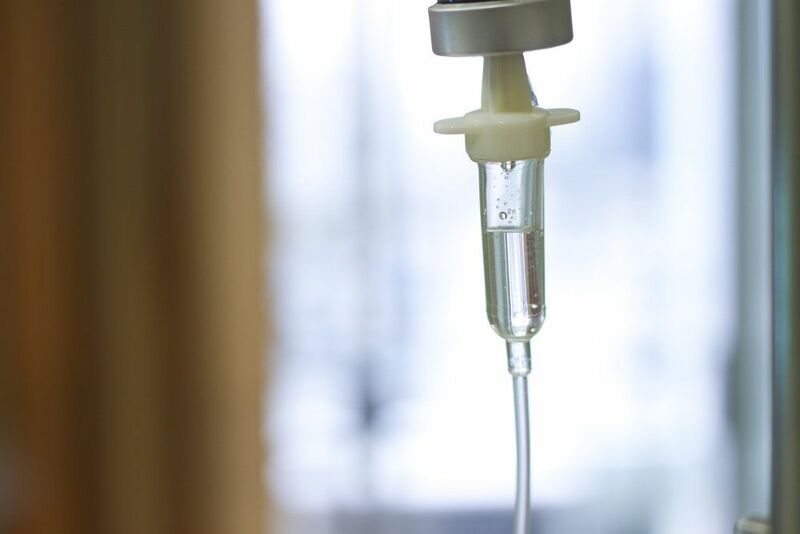 Once the IV is in place and the anesthetic is administered, it reaches the brain almost immediately and instantly puts the patient into a deep state of relaxation. This eliminates any fear or anxiety that the patient may feel while waiting for the sedative to fully come take effect. Once an oral medication is administered, the doctor has no control over the extent or length of its effectiveness. However, when a patient is under IV sedation, we remain constantly in control of how much medication the patient receives. We will administer the sedative in small doses until the desired state of relaxation is achieved. Once the patient is fully relaxed, we can cut off the feed of medication. Should the patient begin to show signs of consciousness, we can then provide another dose of the sedative. Not only does this enhance the level of control during treatment, but also makes it easier and faster for the patient to wake up once treatment is complete. The most obvious benefit of IV sedation is that it allows patients to undergo dental work that is essential to improving their oral health. Even complex dental treatments can be performed without the patient feeling any anxiety or pain. In fact, because the patient is in such a deep state of relaxation, we can often perform several treatments at once. We can completely makeover a patient’s smile in just one or two dental appointments, rather than having to schedule several appointments over an extended period of time. If you have let dental anxiety prevent you from enjoying the healthy, beautiful smile you deserve, it is time to consider sedation dentistry with Dr. Steven M. Balloch. To learn more about IV sedation and how it may benefit you, contact us at your earliest convenience. We look forward to hearing from you!